While director Mohan Raja is reaping laurels for his work, his longtime associate Balakrishna would be gearing up to start on his own. It is said that Balakrishna has been with Raja from his Jayam days and has worked in most of Raja’s projects. Now Balakrishna has readied a script which would be made into a film. Looks like Raja will be helping him in his endeavor. The cast details would soon be finalized and be known. On the other hand, we also have the information that the film with Sivakarthikeyan which Mohan Raja would be directing, would begin by June 2016. Quite a busy schedule indeed! Arnold volunteers for another Superstar! An Indian fairy tale with Rahman's music? After Suriya, its Prabhu Deva and Jayam Ravi’s turn now! Mohan Raja Directed Thani Oruvan To Become A Franchise? The Emotional Mohan Raja And Jayam Ravi In Thani Oruvan Success Meet. Sivakarthikeyan And Siruthai Siva To Join Hands For A Project Post Thala 57. Mottai Rajendran To Replicate Sivakarthikeyan's Performance. 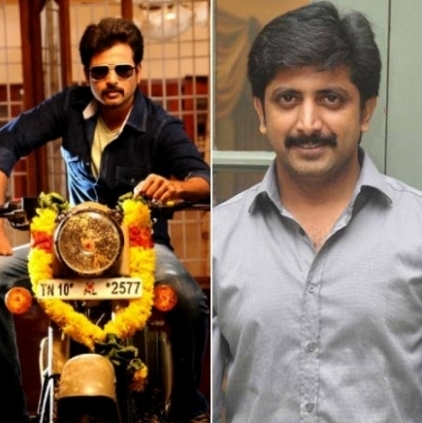 Vignesh Shivan Penned Lyrics For Sivakarthikeyan's Next. People looking for online information on Balakrishna, Mohan Raja, Sivakarthikeyan will find this news story useful.